Cybersecurity as a Branding Value for Companies. It is not a cost, it is an investment. Times have changed quite a bit since cybersecurity was even a word. Now it is most definitely a thing, a problem, a cost, and also a value. Let’s assume that you are a cybersecurity professional and you want to enhance the cybersecurity posture of your company, and let’s assume that you need money to make it happen. What do you do? You go to upper management or to the board, you ask for cash, and it is a plausible scenario that you get a big fat no, or a very skinny maybe, because there are other priorities on the table, such as product development, operational expenses, marketing and all the fun stuff that helps to make sales and drive the bottom line. 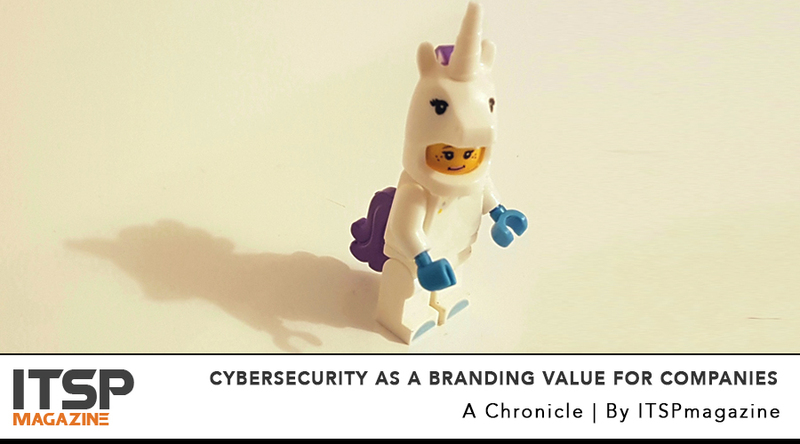 In this conversation, Sarah and I spoke about some interesting research that addresses exactly the topic of cybersecurity as an asset that contributes to the brand perception and brand value. Consumers do care about their security, their personal data and their privacy more than ever before — and your customers, or potential customers, will change their behavior if your company is the subject of a successful cyber attack. The results from this research — which was run in the US, UK, France, and Germany — are not surprising to me, but they might be quite shocking and hopefully motivating for many business owners. 78% of the total participants said that they would stop shopping online with a brand if it gets breached — and 36% would stop engaging with a brand both on and offline. This is not just about missing sales; it is also about losing the brand support and promotion that comes from a positive customer/brand interaction and engagement on social media. Now the link with cybersecurity takes it to a whole new level. Now it becomes an asset that contributes to — or the lack of damage — a company bottom line. Not all customers are alike, and Sarah and I talk about some statistics related to the generational differences we see when it comes to personal data security and privacy. You have probably heard about the concept of “Trust and transparency.” You have heard it before, and you are going to listen to it here, too. This time, however, it is tied to the enormous role that reputation plays in the backbone of today’s brands. I believe that the value of a brand cannot be faked anymore; its core is in the emotions that people feel about it and nothing speaks as loudly and as effectively as positive action. I would like to end this chronicle by reminding you all that your brand — company or personal — is not what you think it is, but what the customers think it is. I am hitting the play button now.